Welcome to RabbitScan for the ACT. This is a new tool to help you coordinate the recording of rabbit warrens and control of rabbits throughout regions of the ACT. Map rabbit activity including warrens, or other evidence of rabbits such as dung piles, scratching and the damage caused by rabbits. Record control activities such as baiting, warren ripping and harbour removal in your local area. Rabbits are a major problem across the ACT. Rabbits also don’t recognise property boundaries, which is why we all need to work together to map where they occur, and work together to control them. You can easily help by recording where you see rabbit problems, mapping rabbit warrens, or documenting where you are involved in local control activities. 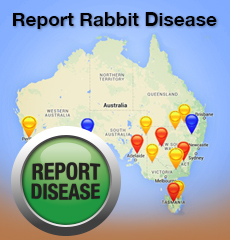 Everything you record in RabbitScan will help to reduce the problem with rabbits. To find out more about how to get involved, contact rabbitscan@feralscan.org.au. Start recording rabbit warrens now!